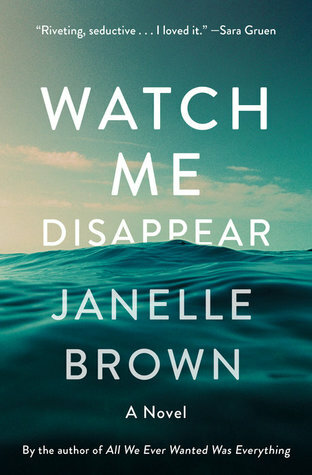 When I initially read the synopsis of Watch Me Disappear, it really grabbed my attention and I knew it would be an excellent beach read. As I began the first few chapters, I felt like I was missing something, or maybe the plot was just a little too slow. I kept reading, hoping it would pick up. After getting about halfway into the novel, I realized the pace wasn't going to pick up, but I still really needed to know what happened to Billie. So, I just kept reading and trudging through. The writing was eloquent and flowed together nicely, but I didn't get hooked on the characters like I wanted to. I felt like there was constantly a piece missing and I was on the outside of the story. All in all, it was an interesting story, but when it ended I wasn't really sure what to take away from the story. It held my attention, but just barely. I enjoyed the novel but I don't think I will be recommending it to others. Thank you to NetGalley and Random House for the sending the eGalley in exchange for an honest review.